Oleg Tyagnibok arrived for questioning to Investigation Department of the Ministry of Internal Affairs of Ukraine. 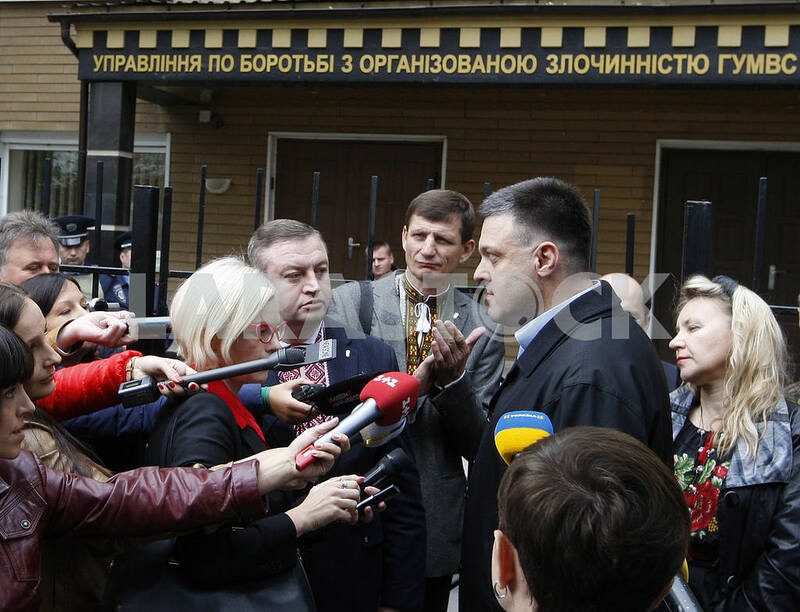 Description Oleg Tyagnibok,Head of the Ukrainian nationalist party Svoboda (Freedom) speak to media in front of the Management to combat organized crime of the Ministry of Internal Affairs of Ukraine,in Kiev, Ukraine, 14 September 2015. Oleg Tyagnibok arrived to Investigation Department of the Ministry of Internal Affairs of Ukraine for questioning on the case of clashes between protesters and police,where a three Ukrainian policeman was killed and more 120 were injured outside the parliament in Kiev on 31 August after a vote to give more autonomy to the country's war-torn eastern regions. No similar media was found.